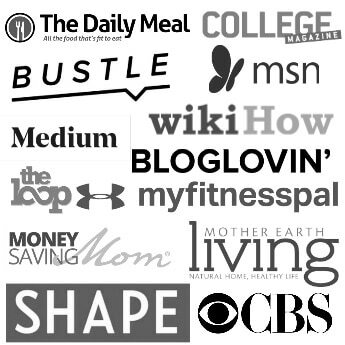 You are here: Home / Healthy Foods / Refined vs. Unrefined Coconut Oil – Does it even matter? Ah, the refined coconut oil vs. unrefined coconut oil battle. But of course unrefined is always better, right? 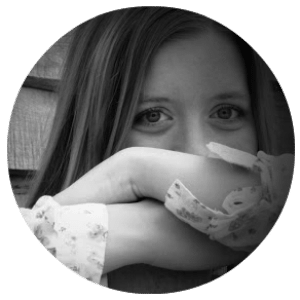 Well, not always… Let’s talk about the reasons why I use refined coconut oil (and so should you!). One of the biggest misconceptions I see in the health world is that unrefined automatically equals better. This isn’t always the case, especially with coconut oil. The refined vs. unrefined coconut oil debate has raged on for decades, with unrefined coconut oil usually winning the battle. However, this mostly seems based on the assumption that unrefined always means better. I actually choose refined coconut oil every time (this is the one I use). Call me crazy, but I’ve weighed the pros and cons, and for me personally, refined coconut oil ends up on the shopping list. Coconut oil’s benefits are due to one important factor: its fatty acid composition. Coconut oil contains a high concentration of medium-chain saturated fatty acids like caprylic acid and lauric acid (read more about the benefits of lauric acids HERE). These fatty acids fight inflammation caused by unstable polyunsaturated fatty acids, and are a great substitute for processed vegetable oils. These fats are also easily digested. And the best part? They put up one powerful fight against pathogens like bacteria, viruses and fungal infections. So here’s the question: does unrefined coconut oil have a better fatty acid composition than refined coconut oil? The answer is no. They are essentially the same. So if you’re looking for the benefits of coconut oil’s fatty acids, you’ll still find them in the refined oil. Coconut meat itself contains 17 amino acids, B vitamins, potassium, iron, and fiber — but the majority of these are already filtered out during the process of making coconut oil. Coconut oil is all about the fat, and that’s pretty much the same between refined or extra virgin coconut oil. Don’t get me wrong: I really dig the occasional coconut macaroon or coconut cream pudding. But I don’t want coconut flavor invading my scrambled eggs, fresh popcorn or homemade chicken broth. And neither does the rest of my family. We tend to eat more coconut oil when it’s refined and flavorless, because it’s so much easier to blend into any kind of dish. If you love coconut-flavored anything, then this probably isn’t a big deal. But if you’re like me, refined coconut oil simply fits into your life more seamlessly. Frankly, we’d barely touch our coconut oil if it was the unrefined variety. So I choose refined because I know we’ll actually use it. Digestive issues and allergies are some of the most common health problems invading our society today. For this reason, unrefined coconut oil can be irritating to a sensitive digestive system. The coconut solids in the oil contain a lot of potentially allergenic compounds. In refined oil, these have been completely removed, which is why it is odorless and flavorless. Do you have stomach pains after eating a small amount of coconut oil? If someone tells me they have stomach pains after eating a very small amount of coconut oil, my first question is what kind of oil are they using. Chances are, they tell me unrefined coconut oil. Extra virgin coconut oil has a relatively low smoking point of 350 degrees F. This is pretty low as far as a cooking temperature goes. If you’re eating your oil raw or using it mostly for baking, this is probably not an issue. But for stovetop cooking, this is generally too low of a smoking point. Refined coconut oil as a smoking point of at least 400 degrees F (some sources I’ve read say 450 degrees). This is an easier temperature to work with when cooking on the stove or baking at higher temperatures. So keep in mind how you’re going to be using your coconut oil when you’re deciding between refined and extra virgin. Read more about oils and smoke pointer here. Don’t get me wrong: in the battle between refined vs. unrefined coconut oil, high quality coconut oil is still a must. Because there is a “right” way and a “wrong” way to refine coconut oil — the natural version and the industrialized version. You see, coconut oil comes from “copra” — or dried coconut meat. The oil is extracted from the coconut meat. Quality sources make sure their coconut oil is clean, pure and uncontaminated. They don’t use chemicals, bleach, or solvents to refine their oil. They simply use an expeller press to remove cocout solids from your oil. This is why I still don’t by the cheapest coconut oil at the grocery store. I want to buy from a company that cares about preserving the integrity of their oil, and who used natural processes to refine it. 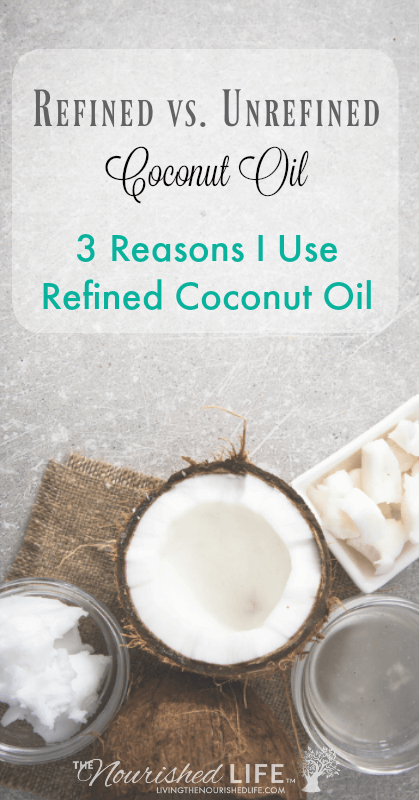 Click here to find my favorite source of refined, expeller-pressed coconut oil. If you are new to coconut oil, heed my advice: start with less than a teaspoon per day. Slowly add more over a period of days (or even weeks). You can work up to 1-3 tablespoons per day (in your food, or in tea or coffee). This can help your digestive system get used to the oil. It also prevents any possible reaction that your system might have to coconut oil’s strong antibacterial, antiviral and antifungal properties. I know it’s easy to fall in love with coconut oil and want to use it all. the. time. But please work up slowly. You’ll thank me, for real. After reading all of this, I am still confused! (Doesn’t take much though. Lol!) If I want coconut oil to help me with weight loss and also to give to my animals, which should I use? Thank you! Either would be fine. The beneficial fats are in both refined and unrefined coconut oil. Do you know anything about Trader Joe’s triple filtered coconut oil? I’m trying to find out how it’s processed.. I’m putting it in my coffee because, like you, I’m not happy with coconut coffee. However, if it’s not providing any nutrients, I’ll have to figure something else out. I’m not familiar with their production processes, but typically if it’s expeller pressed, it’s a good oil. Filtered implies it was done naturally, but I wouldn’t know for sure. I haven’t done extensive research in this area, but I’m personally most concerned that there are no solvents or bleaching solutions used during processing. Coconut oil isn’t damaged at low heat, to my knowledge, and I wouldn’t think the heat from steaming would be anywhere near a point of concern. Thanks for the article, it was very informative indeed about the subject of Coconut Oil which is something very close to my heart. There is a lot of misinformation out there so it is good to read a good, well researched article. 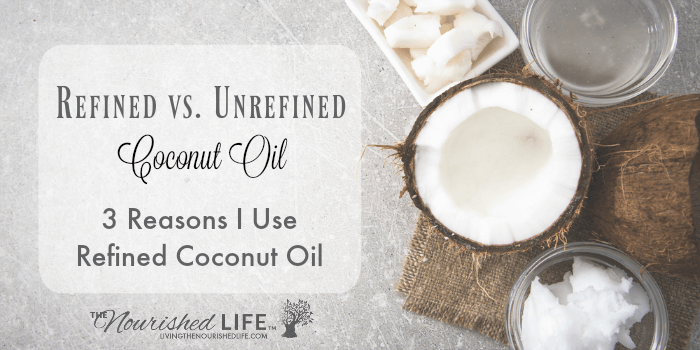 So who to believe… https://thrivemarket.com/blog/refined-vs-unrefined-coconut-oil. Here they say that Refined has a lower smoking point. Jeez! Everything I’ve read points to refined coconut oil having a higher smoke point. It’s literally because more of the coconut compounds have been filtered out — those are the parts that smoke first. Last paragraph of #2: You say ” Frankly, we’d barely touch our coconut oil if it wasn’t the unrefined variety. I think you mean you’d barely touch it if it were the unrefined variety. Lots of comments! Can I safely assume if you are using the oil for your skin it is better to get UNREFINED? If you are cooking with it then get REFINED? Also the topic of chemicals used in the refining process. I just bought Crisco ORGANIC REFINED coconut oil. Non-GMO verified. Did they use chemicals to refine this oil? Is this oil good for your skin or is it just a cooking oil? You’d have to check with an individual producer to see how their coconut oil is refined. I don’t have the information for each company. For skin, I would still say the benefits are largely equal between refined and unrefined (though some may disagree with me). I had gotten a jar of coconut oil w/o reading anything, hadn’t opened it yet. I wanted to do some research before I start consuming it. that is when I ran into your page. Coincidentally, the jar is got is the one you have the link that you use. I am so happy knowing that I got something that is tested by someone and can stand by it. Thank you for the elaborate information on coconut oil and turning down the hype of refined vs unrefined. Again, this would be largely dependent on how the oil is processed. It would be really helpful to see some data on your comment. I haven’t heard of an issue with coconut oil being contaminated with heavy metals. I was told coconut oil is good for dogs with allergies. I started giving unrefined but bought a few jars of refined on accident. He looks better after being in the unrefined for about a week. Can I use the refined that I bought or should I stick with the unrefined? Thanks! I personally don’t mind giving refined oil to my dogs. There are still plenty of healthy fats in there for them! This is interesting but slightly confusing. I have a brand that says it’s organic, virgin, cold pressed and unrefined. It sounds like according to at least some of you that this would possibly be contradictory? Like it can’t be unrefined if it’s virgin cold pressed? Needs better, clearer definitions for each term. Unfortunately there are no set industry standards, so terms are used differently by different companies. For instance, technically there’s no difference between “extra virgin” and “virgin” coconut oil (that’s an olive oil standard, but it doesn’t apply to coconut oil). Some people would consider cold pressed unrefined. Others don’t. Which would you use for gum sores? I was told to rub coconut oil on the sores but I am not sure which one, refined or unrefined? I think either one will work for that purpose. Somebody please correct me if I’m wrong, but it seems to me that you cannot get refined coconut oil in the UK. But if you want unrefined, you’re spoilt for choice. FYI I could not leave this comment until I disabled my extensions. It seems the comment form requires tracking scripts. Have you had success looking for expeller pressed coconut oil? I do track IP addresses on comments because this allows me to block spammers (which are unfortunately a pretty big problem). 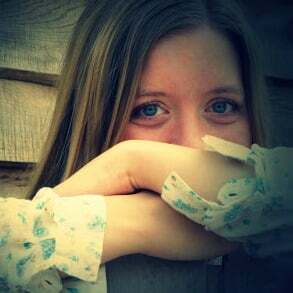 Elizabeth – Thanks for this info! I use Nutiva’s refined coconut oil (it says expeller-pressed on the label), because of the taste of unrefined coconut oil. But I eat coconut oil in the first place because of its health benefits (fatty acids, mainly), and was worried that the refined version would have its fatty acids altered in some way (less healthy or even harmful). So I’m glad to read your post here that the fatty acids are unchanged between unrefined and refined. I’ll keep using refined. Just a quick question: I don’t see Nutiva among the brands you mentioned – What do you think of Nutiva’s refined coconut oil (this is the one with the buttery flavor)? Glad you found the post helpful! I really like Nutiva’s refined coconut oil. It’s one of the brands I use. Thankyou! Thanks was so helpful! I’m always the one in the store that’s trying to not look insane while staring at the unrefined and refined coconut oils for WAY TOO LONG. So informative aaaaand easy to follow. Thankyou!